Florian Walsh: Click "Collect Me" to help me win $10,000 and a show in the most immense exhibition of art in New York City : Art Takes Times Square. Dingle through the eyes of a lens! Its pretty amazing when you live in the same place all your life and still get blowin away with the scenery it has got to offer. Dingle at the best of times is grey and wet and can get fairly depressing in the winter, but on the days the sun shines you couldn't be in a better place! Everyone gets out and about and makes the most of the day when the sun shines!.. Im lucky that i have my surfing as a hobbie as i can go out in all weather conditions so its all good all year around for me! Dingle is great too when we get gale force winds and massive storms and swells crashing against our west coast, its pretty awesome that you can be so close to the fury of the sea and just watch from the comfort of your car for hours on end taking photos! :) So here are some varied photos that i hope you like of Dingle! This is one day ill never forget!... I was browsing google earth looking for a new place to surf close to Dingle where i live and found this place called Sauce creek!.. I saw one or two photos of it on the web before and always wanted to go there! I called my mate an asked him if he was up for a Hike!.. 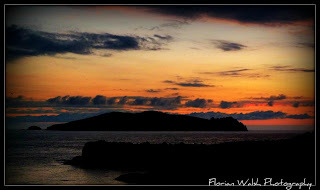 Next morning we were off on a mission, to get some great photos and maybe a surf in a place that has never been surfed!.. It took us nearly 2 hours to climb down what looked a near impossible cliff. When we got down we were delighted but shattered at the same time! The waves were huge and dangerous so no surfing!.. Looking back at what we just came down was very daunting indeed! The thought of climbing back up was sickening! 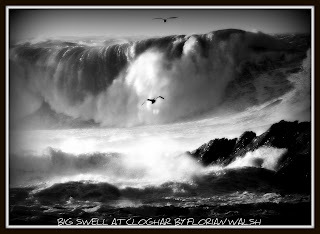 An amazing place but never again will i climb down with surfboards and wetsuits!... 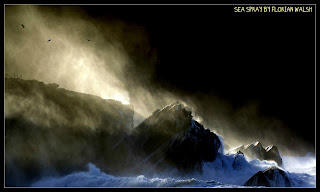 The Name Sas in irish means trap, and in this case it refers to the fact that so much flotsam is washed into this cove!.. In the last century 2-3 families lived at sea level (the cliffs around reach over 300m) scratching a living from the few flat areas of land available to them. Erosion has destroyed most of the evidence of occupation and the original pathway leading down has long since collapsed! Florian Walsh. Awesome Inc. theme. Theme images by konradlew. Powered by Blogger.